In most peoples lives, a home is the biggest and most costly purchase that they will ever make. A home buyer who is educated will take every proactive step necessary to ensure that their home purchase is a sound and profitable investment. From the foundation to the roof and everything in between, a home inspection done by a knowledgeable home inspector is an invaluable tool ensuring that the home you are buying is a quality product and good investment. 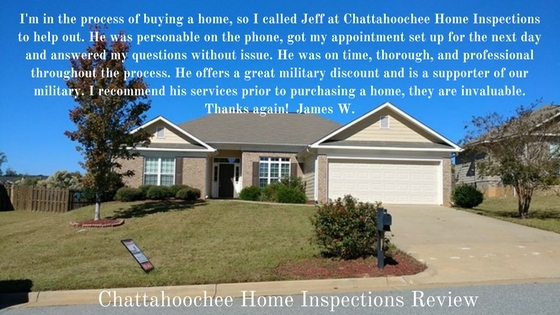 A quality home inspection, by Chattahoochee Home Inspection Co. is designed to provide you with the information you need to make a more informed decision about your potential purchase. You should be able to walk away from the inspection knowing, in a clear way, if there are any immediate major issues, and what items will need to be repaired and/or maintained. 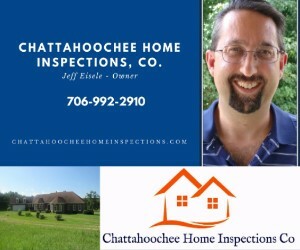 Chattahoochee Home Inspections Co is your locally owned professional inspection company in Columbus, Georgia dedicated to giving you a superior home inspection; whether you own a home or are planning to purchase a home in the near future. * Proudly Serving the city of Columbus, Georgia and the surrounding areas within the state of Georgia. 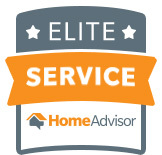 Check out our great reviews from Home Advisor at the bottom of this page or check out our Facebook reviews out to help you in your decision making process! Chattahoochee Home Inspections Co accepts payments by credit card, cash, money orders, or by personal check. Are you Military or in the Fire or Police Departments? Ask about our Military and Fire/Police Special Offer!